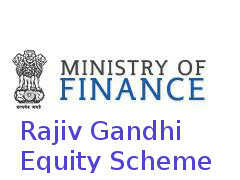 Finance minister announced Rajiv Gandhi Equity Savings Scheme(RGES Scheme) for FY 2012-2013 budget as tax saving instrument for individual tax payer. I have updated RGES Scheme based on information from department of economic affairs on 19th July 2012. The department of economic affairs has approved Rajiv Gandhi Equity Savings Scheme. It has been sent to SEBI for Final comments. If your annual income is less Rs 10 lac then you can be eligible for RGES Scheme. You can get 50% tax deduction on investment up to Rs 50,000 in Equity market. This tax deductions will be above Rs 1 lac of 80C tax benefits. You can take benefit of RGES scheme only once. You can invest in 100 companies and Maharatna, Navratna and Miniratna companies in Equity Market. It has lock in period of 3 years so you can not withdraw money before 3 years.but You can change your portfolio after 1 year. It will not have investment option via mutual fund. If you invest Rs 40,000 in Rajiv Gandhi Equity Savings Scheme then Rs 20,000 will be deducted from your taxable income. So depending upon your tax slab you may save from Rs 2,000 - Rs 6,000 using RGES scheme. You have to understand the need of government to launch RGES scheme. Government want more new people to investment money into equity market directly so it can give some sort of stability to market and we can try to reduce dependencies on FII. You will have to take your own decision in which companies you want to make investment to take tax benefits.For 1st time investor,It will be difficult to understand the complex equity market. Investing in Equity market has risk associated with it. You need to have demat account to invest in equity market as per SEBI norms. This brings addition cost from Rs 400- 800 per year for investor. You have option to change your portfolio after 1 year so you may consider to track your investment. You don't have option to use mutual fund or ELSS for investment so you can not take mutual fund manager's expertise to manage your fund and relax for lock in of 3 years. I do not understand the logic for giving benefits to 1st time investor only. if you have already invested in equity market earlier then you can take advantage of RGES scheme. you need to ask yourself simple question whether you are doing pure investment according to your financial planning or tax saving investment only. Compare your actual tax saving amount in RGES scheme with your actual investment in equity market and it's associate risk. Most important:Don't just follow your colleague or friends and invest in RGES scheme and take big risk on principal investment.It's common mistake, people does in equity market.People generally highlight how much money they have made in equity market than how much money they lost. remember, one person makes profit out of other person's loss in equity market.